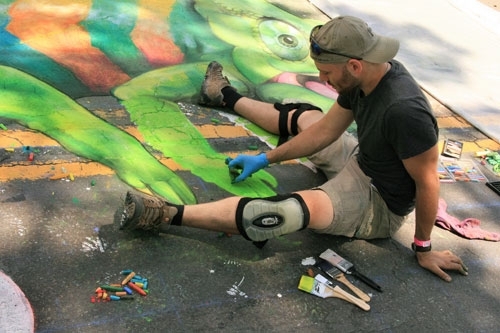 The Elmira Street Painting Festival is an art-filled, family fun weekend celebrating creativity! Stroll through our historic downtown while art takes place on the ground- and all around. 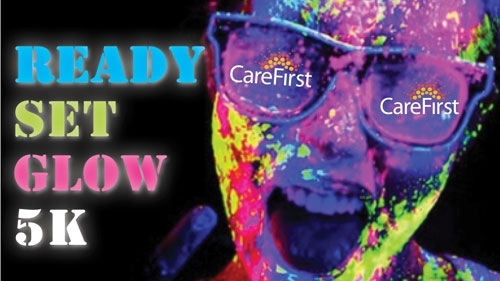 Marvel at the dozens of masterpieces evolving right before your eyes as artists take to the streets with chalk in hand. Browse the fine regional crafts and artwork of numerous vendors. Sample the varied tastes of our local restaurants, step into a pop-up gallery, move to the rhythm of live music, experience all that the festival has to offer. Come for the day- or make it a weekend! Race starts at 9:30pm - Pre-Race activities will begin around 7pm. All of Elmira Downtown's events energize the city's social, physical and financial resurgence by bringing together its diverse local residents to reactivate the downtown district as a gathering space and realize its potential as the core for cultural engagement, small businesses, and neighborhood to create a stronger, more united community. The Elmira Street Painting Festival and Chalk It Up For Our Youth are part of Elmira Downtown Development's programs and service that promote a regional arts economy by making the arts and humanities available and accessible to all Elmira residents and visitors from the wider region to enhance the Elmira's quality of life. 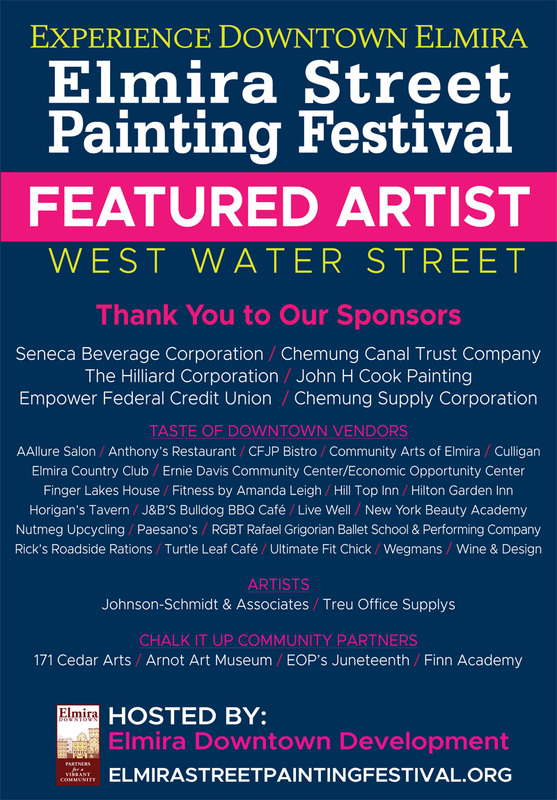 All of our events, including the Elmira Street Painting Festival happen because of strong partnerships, such as the City of Elmira, Chemung County, Corporate Sponsorship, the Arts Council of the Southern Finger Lakes, Surrounding Counties, and Community Partners. Elmira Downtown is a not-for-profit corporation whose mission is the administration of the city's 52-block Business Improvement District. The Business Improvement District is a State of New York chartered not-for-profit organization charged with the revitalization, development, promotion and management of downtown Elmira. We plan and manage special events, including concerts, promotions, festivals, holiday celebrations, and a weekly farmer's market. For more information, please visit www.elmiradowntown.com, www.wisnermarket.org - Like us on Facebook.